강의목표 기초부터 채워나가는 문법설명과 그 문법을 Speaking에 적용시켜 연습합니다. 다른 곳에도 좋은 영어 회화 수업들이 많겠지만, 결과적으로 회화는 가르치는 사람의 태도와 자기가 얼마나 참여하느냐가 가장 중요 한 것 같습니다. 커리큘럼이 좋은 것은 말할 것도 없으며, 써니 쌤은 수업준비도 열심히 해주시고 수업 이외의 시간에도 여러가지 더 알려주려고 하시고 조금이라도 더 영어에 도움이 될 수 있도록 해주십니다. 주말반 수업 내내 분위기가 너무 좋습니다!! 마이클쌤은 원어민쌤이지만 말을 한마디라도 더 할 수 있도록 해주시고 차분히 기다려주십니다. 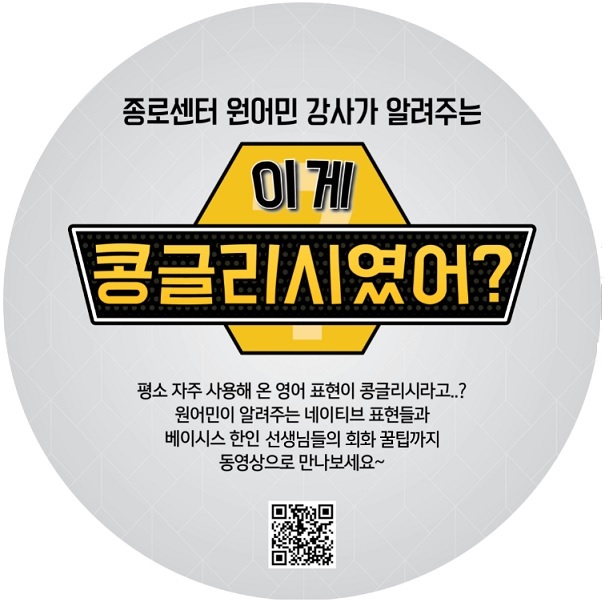 덕분에 원어민과 소통하는데 자신감이 많이생긴것 같습니다 처음엔 세시간 수업이라 길고 힘들 것 같았는데 시간이 정말 짧게 느껴질 정도록 너무 재미있는 수업입니다ㅠㅠ 주말반 강력추천합니다!! Hi!I have been listening Jessica's lesson for 3 months.I don't know how other teacher to do, but she teaches very well.Because this is speaking lesson, so of course she focuses on our speaking skill and expression much more, but also the grammar!I know that paperwork homework, which is required by the company, but I don't think it can't give me any feedback about my speaking skill. It's a little useless because every time the form nearly the same. I think it's pretty boring.So I asked her that can we change the style of homework, and then our homework was changed from the next class.We chose a topic and talked about our own opinions, against it or for it. In the debate you can hear different opinions about the topic, it's quite difficult because if you don't prepare. But it's really helpful for my speaking skill and also very fun! I am very recommended who want to improve their speaking skill to listen her class. Fun and useful! Hello! I have took a Jessica's class for 4 months. I'd like to recommend perfect her class to you. Can't you speak english? You can change now! I have changed! She will make you speak English well! The biggest advantage is comfortable atmosphere. Speaking English in comfortable atmosphere makes you feel good about English. And she is corrected wrong grammar immediately. So your english will be better. Her bright, energetic energy gives you confidence. If you want to speak english properly, Choose Jessica's BasiS 2! Jessica's class is always right! I have forgotten about English for a long time. I fresh start for English so I visited YBM blindly. Frist time I couldn't understand everyting but It had class of jessica that I understood passing of time little-bitty. Class of her was very fun and cool and comfortable and easily. If There were the wrong sentence that she fixed right now. It was awesome. I am waiting next class soon. Bye jessica see ya...!! Hi, ;my name is Lee ; ;I want to introduce this lecture.This lecture has a lot of advantages , but I don't have time so I write down a few advatages.First, Jessica is the best teacher I have seen.Second, this lecture has good atmosphere.Third, textbooks have very comprehensive situations you can experience.Fourth, all classmates except me are friendly and kind.personally, I think if you want to learn English speaking.This lecture will be ;the most effective.